With just the right balance of image and text, Picture Perfect offers fresh, contemporary styling, versatility and lots of space to display your best photos or artwork. Perfect for labeling wedding or party favors, wine, beer, food gifts and all kinds of products, this highly adaptable style is available in 32 colors–making it easy to find one that looks great with your image. Choose from six fonts for your main text, including classic or slab serif, a fun modern script, jazzy italics or neatly stylized san serif. Your featured text prints like an exciting headline in large, crisp white or black letters directly across a portion of your photo. Along the bottom edge, a solid band adds accent color and a perfect spot for another line of text, printed in thick contrasting type. All those options on top of your fabulous photos make Picture Perfect an ideal style you can personalize for any occasion. 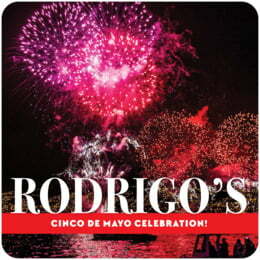 Customize your Picture Perfect cinco de mayo coasters today! Picture Perfect Cinco de Mayo coasters are available in multiple shapes—3.9" round, 3.9" square with rounded corners, and others. They are extra-thick and printed on 58-point paper board. To give you an idea of how thick they are, a stack of a dozen coasters is about 3/4" tall. The coaster surface is coated with a smooth matte coating to provide beautiful, crisp printing. 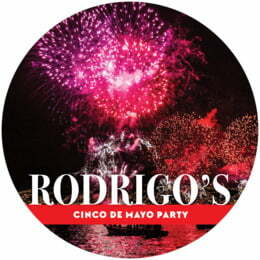 Cinco de Mayo coasters are individually die-cut, so their top has a soft and rounded edge. They are designed to be disposable, but they are durable and re-usable. These are working coasters; they are designed to be used at your barbecue, dance fiesta, taco party, etc. Cinco de Mayo coasters are printed on one side only. On the blank back, a small Evermine logo is debossed. Cinco de Mayo coasters come beautifully packaged in boxed sets of twelve. Select the "Personalize" button to begin customizing your Picture Perfect Cinco de Mayo coasters with Evermine today!